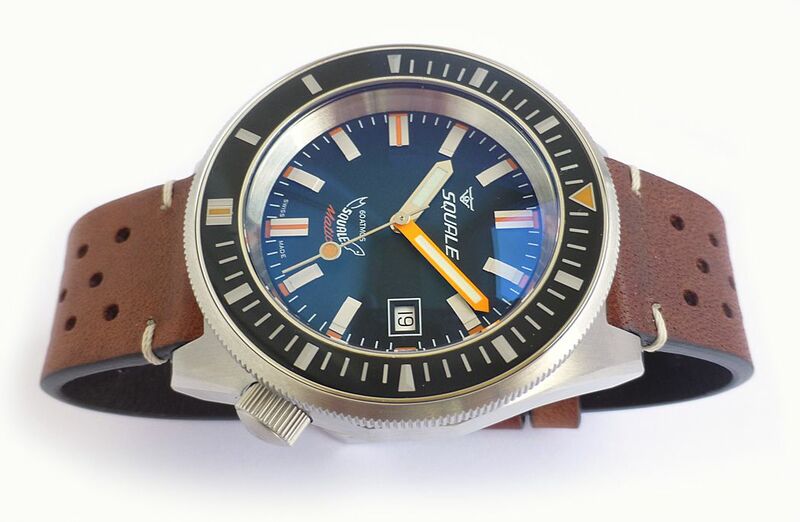 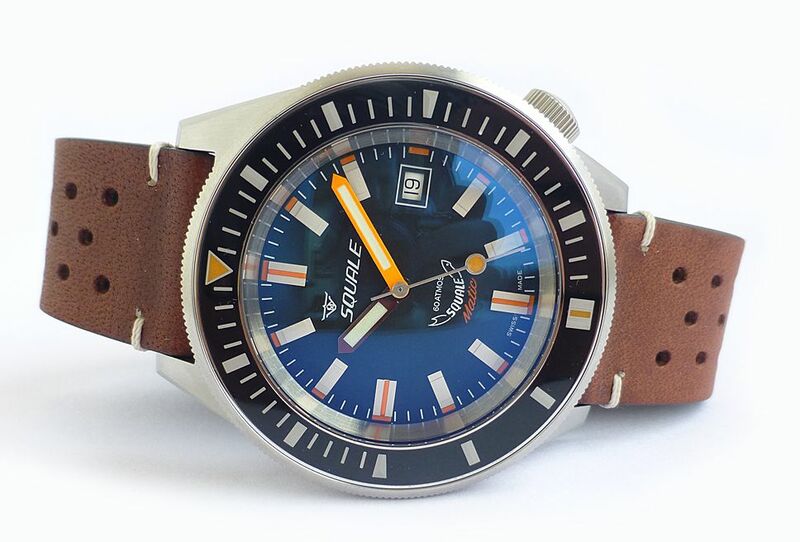 Brand new with 2 year warranty, with box and papers Squale Squalematic 60 ATM (600 metres) professional divers watch in satin finish stainless steel case. 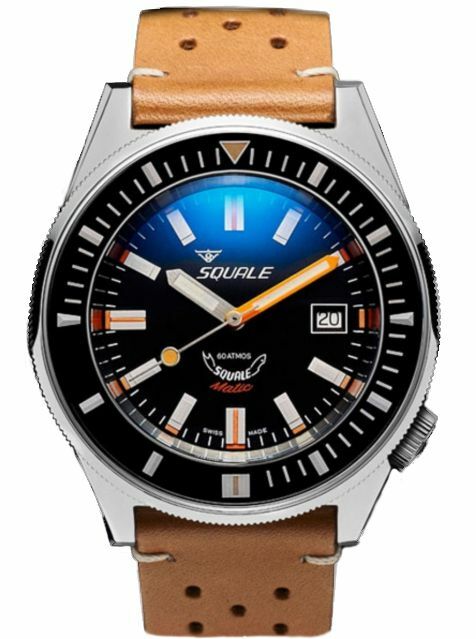 The Squalematic is designed in the more contemporary large size 44mm diameter size while maintaining the Squale designs of the that have stood the test of time. 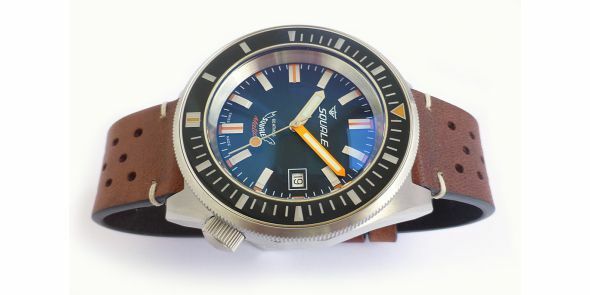 The watch features the typical Squale crown at the 4 o´clock position which is slightly recessed to prevent snagging as well as digging into the wrist. 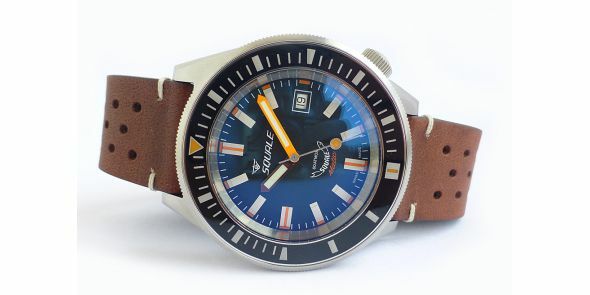 Whilst it is large, it is comfortable to wear, well made and substantial watch made to professional diving standards. 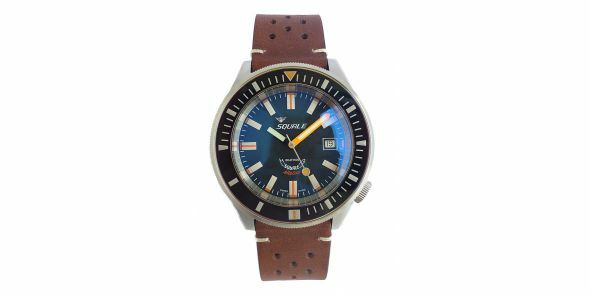 The hand painted dial with its distinctively designed steel markers and Superluminova provides excellent legibility in low light situations. 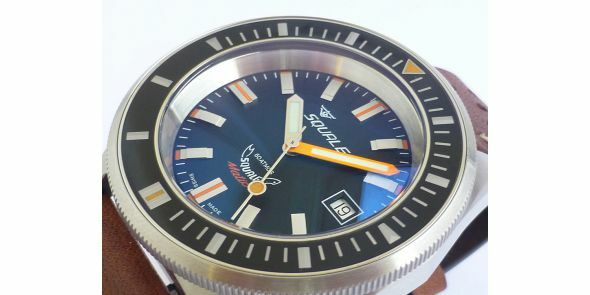 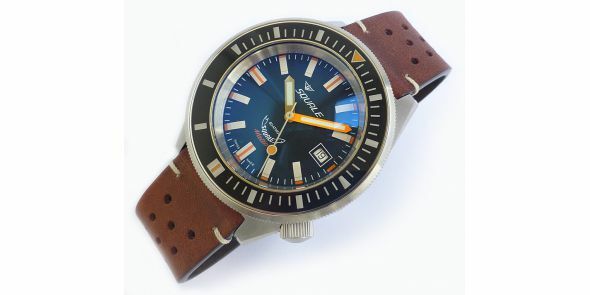 Has a uni directional 60 clicks bezel, with enamel inlay and Superluminova painted steel markers, partners well with the orange minute hand, providing good legibility on remaining or elapsed dive time. 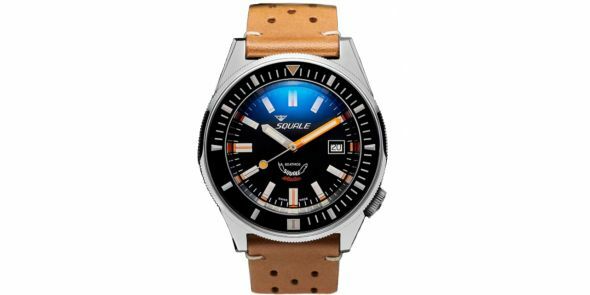 The scratch-resistant domed double convex sapphire crystal is enhanced with anti-reflective treatment on both sides protecting this timepiece up to 600m below sea-level as well as allowing for perfect legibility without blurring and optical distortion. 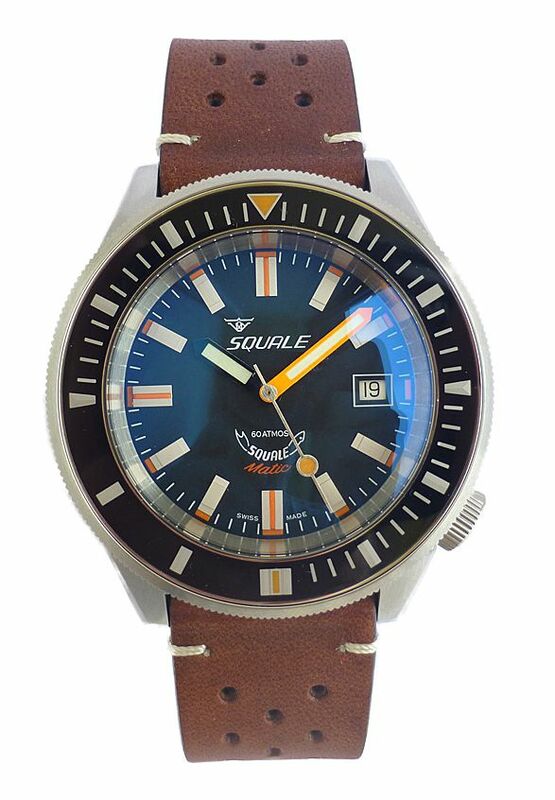 This double domed sapphire-crystal gives it a perfect retro look and feel, adding to the uniqueness and special character of the Squalematic. 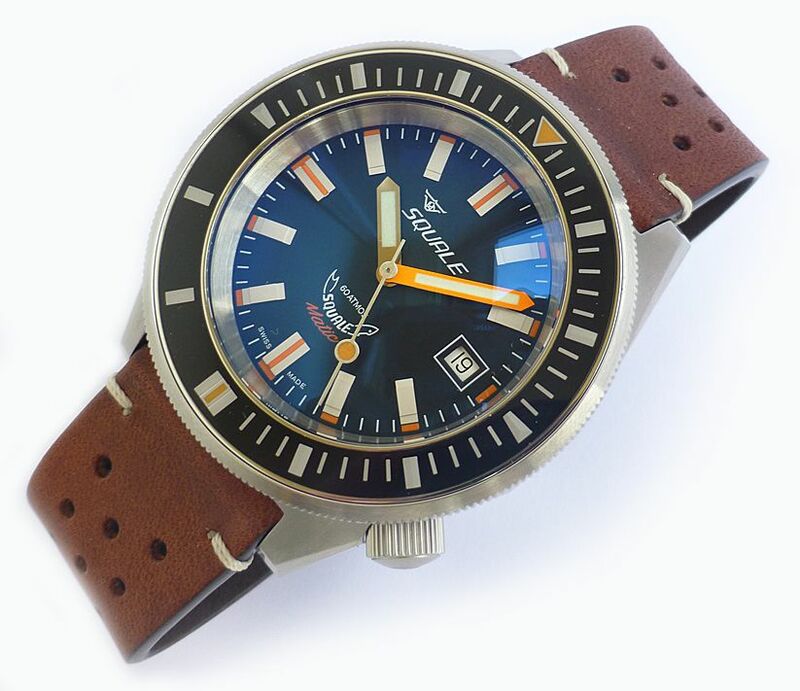 It is powered by the tried and tested 25 jewel Swiss made ETA 2824 movement, and provides reliable and accurate timekeeping under the toughest circumstances. 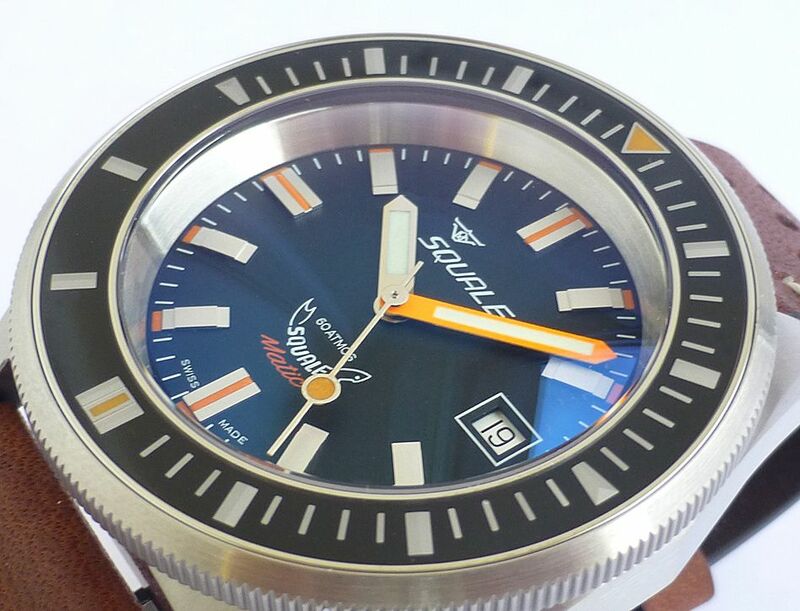 Width is 44 mm excluding crown and 47 mm including crown, Lug to lug is 51 mm, Thickness is 16 mm.